What is a comfort zone? A place where you don't have to take any effort, a place where you can enjoy the feeling of being safe, a place where you can just be yourself. This might vary from person to person. However, for ace photographer Atul Kasbekar, it is his luxurious Volvo XC60 SUV. Atul Kasbekar is among the most renowned photographers in India. He has created a niche for himself by capturing, through his camera lens, reputed names and brands in different domains. His passion for photography often takes him places less travelled. And just to do that, he relies on the Volvo XC60, an SUV that assures safety, comfort and performance to keep him going wherever possible. When we talk of Volvo Cars, safety takes priority as the brand has always set a benchmark in that. The Volvo XC60 is one of the safest compact offerings in its segment. The SUV comes equipped with front driver, passenger as well as side airbags. The XC60 also gets whiplash protection for front seats, emergency brake assist and city safety feature that applies brakes at speeds of up to 50kmph. It is not just safety that makes the Volvo XC60 stand out in the segment. The creature comforts in this premium SUV also makes it one of the best in its category. The steering wheel, gearshift knob and the seats are all swathed in premium quality leather, giving a powerful impression of the cabin. The XC60 also comes kitted with the best in terms of features and equipment which are ideal to keep oneself engaged in long journeys. Taking centre stage in the cabin is the 7-inch touchscreen infotainment system that boasts of multiple controls and options. Paired to that is the high-end entertainment system that can transform the cabin of the XC60 into a moving auditorium. All of this eases out the long distances that Atul travels for during his photography shoots. The thrill that the Volvo XC60 evokes in Atul is powered by the heart of the SUV. One can choose between two engine options the 2.0-litre diesel motor for those who seek efficiency and the more powerful 2.4-litre diesel that makes 215PS and generates a healthy 440Nm. Paired with a 6-speed automatic transmission, the Volvo XC60 offers impressive performance on both, city as well as on highway. The dynamic performance of the Volvo XC60 and the vibrant personality of Atul Kasbekar perfectly complement each other. And that is the reason why Atul has chosen the XC60 over anything else as his partner to wander into the unknown. 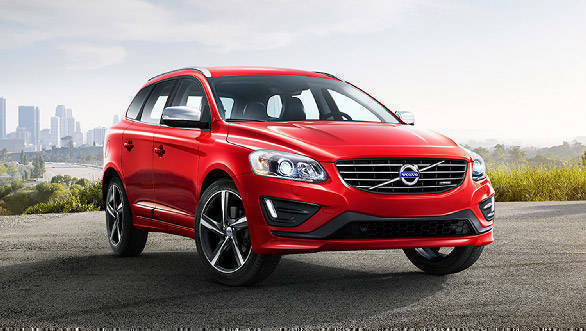 To know more about XC60, Click here.